Moms and Tots is a weekly or bi-weekly get-together for Bay Park moms and children. We meet in homes, at the church and, in warmer weather, at Kingston’s city parks and splash pads. 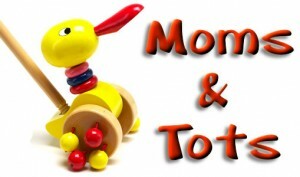 Moms and Tots provides the perfect opportunity for women to get out, share experiences, and fellowship with other Christian mothers while the kids enjoy some play time. Our warm, welcoming and fun atmosphere makes it ideal for inviting a neighbour or friend. We meet on Mondays from 10:00 – 11:30am from September through to July. We don’t meet during the month of August. For more information or to be added to the Moms and Tots emailing list, please email Sarah Morrison at sarah@morrisonlive.ca or call the church office 613-389-2920.